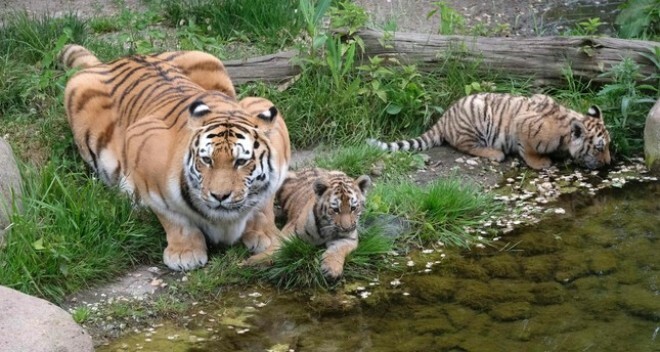 Police said a tiger killed a female zookeeper Monday at Hamerton Zoo Park 130 kilometers (80 miles) north of London. “A tiger had entered an enclosure with a keeper. Sadly the female zookeeper died at the scene,” Cambridgeshire Police said in a statement. Hamerton Zoo posted a statement on its website saying staff members were too “distressed” to speak the media about the death. The zoo is expected to be closed Tuesday while an investigation continues. Police said they were called to the zoo late Monday morning. The tiger never escaped from the enclosure, and police said foul play was not suspected in the keeper’s death. Visitors were evacuated when the incident began and an air ambulance was summoned to provide emergency help for the victim. An eyewitness says visitors were removed calmly and that there was no panic. Police did not release information about the tiger.